About this course - This online course will develop knowledge of wheelchair service provision. Awards - Physioplus completion certificate and CPD points. CEUs in 30 states in the USA and in South Africa. The wheelchair is one of the most commonly used assistive devices for enhancing personal mobility, which is a precondition for enjoying human rights and living in dignity. For many people, an appropriate, well-designed and well-fitted wheelchair can be the first step towards integration, participation and inclusion in society. A wheelchair must meet the user’s individual needs and environmental conditions, provide postural support, and be safe and durable. The wheelchair must be available and affordable and be maintainable and sustainable in the country of use. This is not always easy, because wheelchair users are a diverse group with different requirements and environmental and socioeconomic conditions. A wheelchair is much more than just an assistive device for many people with impairments; it is the means by which they can exercise their human rights and achieve inclusion and equal participation. A wheelchair provides mobility, ensures better health and quality of life, and assists people with an impairment to live full and active lives in their communities. This course aims to provide a basic theoretical understanding of wheelchair mobility and to develop an understanding of the theoretical principles, skills and knowledge underlying the management skills and knowledge in the management of wheelchair service delivery. describe how to check size and common adjustments of a wheelchair for an individual wheelchair user. It’s not going to be easy, we’ll expect you to work hard for your completion certificate! You won’t be sitting back and watching webinars, we’ll expect you to undertake reading tasks, complete quizzes, perform literature searches and other learning activities. You’ll need to reflect on your own experiences and make written contributions to the discussion forum. This forum is where we can learn from each other’s experiences and knowledge from all around the world! At the end of the course, when you have completed all of the required elements, you will be able to download a certificate of completion and 16 Physioplus points will be added to your personalised learning dashboard. Section 4: Wheelchair Service Delivery; Wheelchair Provision and Stakeholders. Reading Physiopedia pages, journal articles, book chapters. Watching videos. Attempting quizzes. Participating in an international discussion forum. This is a completely online course which will take place in Physiopedia's complimentary e-learning platform Physioplus - you can see the course details here. You will need need to set up a trial account to access the course which will become available on the site on 3 September 2018. Completing this course will involve approximately 16 hours of learning activities that can be completed online on a participant’s own schedule. There will be an English and a French version of this course. The course will be accredited in 32 DStates in the USA, Australia and South Africa. Log as completed all the required learning activities. The International Committee of the Red Cross funded the content development of this course. 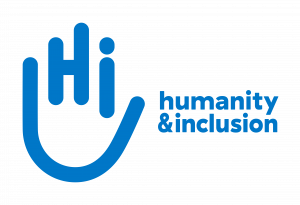 Humanity & Inclusion funded the translation of the course into French.